A classically designed bed, with a stylish visual appeal and a rustic aesthetic. 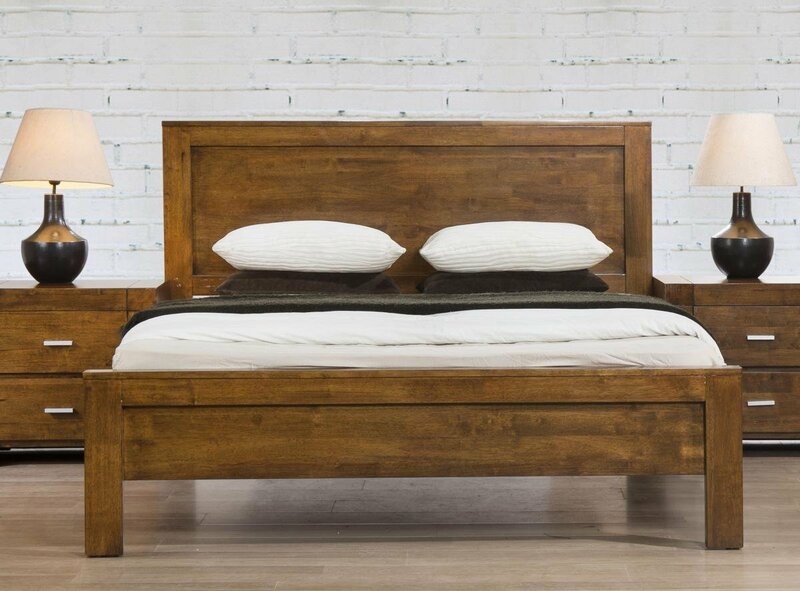 This bed is perfect for any modern of classic home wanting style and rustic character. The Solid Rubberwood promotes stability and durability, and large headboard ensures this bed is the centrepiece to the room. Also available in a King Size for larger rooms that want a more impressive visual. I love this bed. Especially it's solid rubberwood. I am the kind of person who never compromises on quality and I am quiet satisfied after buying the California Double Bed Solid Rubberwood Rustic Oak. Thumbs up!